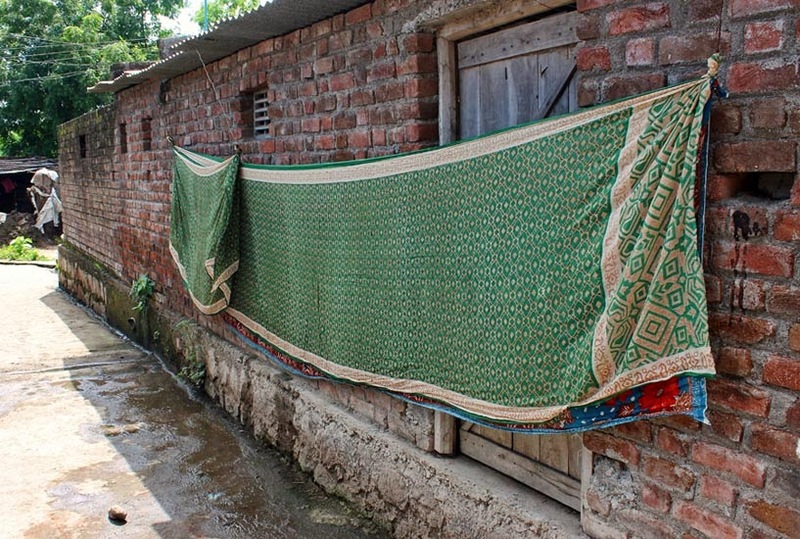 Images of a saree being hung out to dry. Most Indians, even if they use washing machines, do not use dryers. 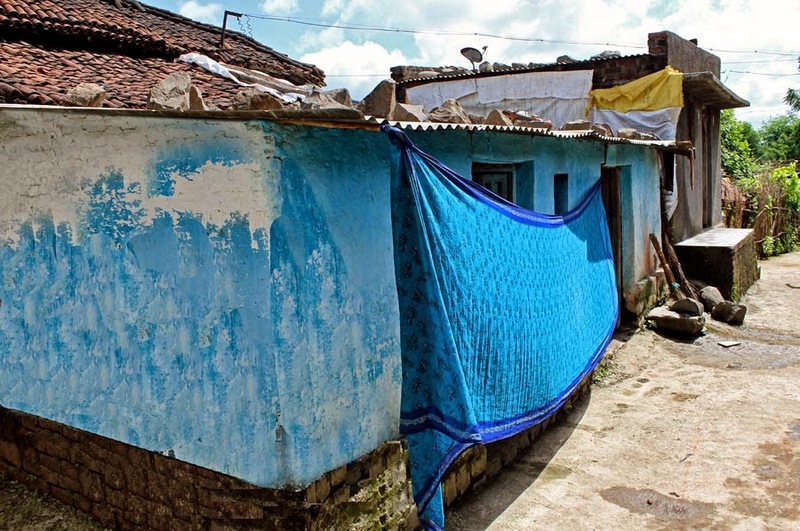 And their clothes are not small and thus drying them around small houses can become a problem. Saris are simply hung out to dry anywhere, at times even on the grass. You might also like Clothes Lines or Dhobi Ghat in Pune or Istriwala or Istrivala or try other photographs of different aspects of life in Rural India.